Bob Costas reveals what forced him to leave NBC, Boston tops worst Traffic list, Democrat's suggest new national holiday! Doug, Jen and Victoria get through hump day talking all things Valentines day - what does it mean to you and how are you planning to celebrate? The Denver teacher strike is making headlines and causing Doug to question what’s happening to all the students, Boston tops the list of the cities with the worst traffic in the US, and after his crash a few weeks ago, Prince Philip has finally decided to give up his license. Bob Costas has revealed why he left NBC after decades of working together, ... See More Notorious Mexican drug lord El Chapo’s trial has finally ended with a guilty verdict on all 10 counts, and Democrats are suggesting a new national holiday - election day! And if you were upset by Jennifer Lopez’s Motown tribute at the Grammy’s, legendary singer Smokey Robinson has something to say to you. We’ve got all that and more on today’s episode - we’d love to hear - how are you celebrating valentines this year? 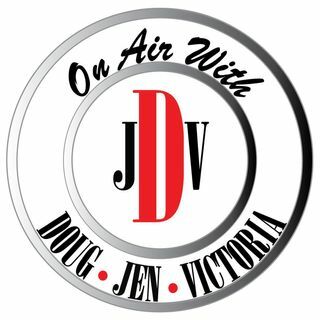 Let us know on twitter @djvshow or at facebook.com/djvshow - and don’t forget to rate, review and subscribe to the podcast!